Martin trained at Drama Centre London and at the Royal Court People’s Theatre. He played Spider in Coronation Street for several years, Reg Lund in Holby City for two series and played Soapy in BBC’s Cradle to Grave. For theatre he toured with Present Laughter, directed by Stephen Unwin. His film credits include The Car: Road To Revenge and 6 Days, which is out now on Netflix. Martin Hancock in "The Car: Road To Revenge"
Martin has just finished filming a lead role of Talen in the new feature film ‘The Car: Road To Revenge‘. He’s pictured here straight out of the make-up chair. Produced by The Car Productions, LLC, the film is out now on Netflix. 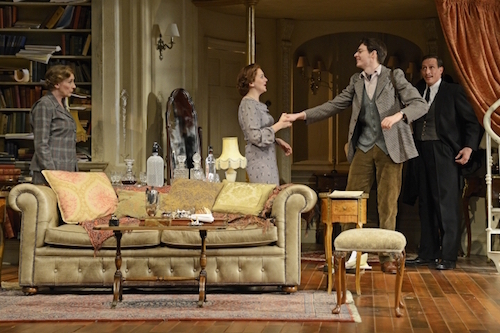 Stellar reviews are in for Present Laughter, directed by Stephen Unwin, with Martin Hancock playing Fred. The production opened at the Theatre Royal Bath, followed by a UK Tour. Martin Hancock will play Fred in Noel Coward’s Present Laugher, directed by Stephen Unwin. The production will play at the Theatre Royal, Bath, from 22nd June – 9th July, followed by a UK Tour, ending on 29th August. For more information on the production, visit the Theatre Royal Bath website. Martin plays Bill in feature film 6 Days, directed by Toa Fraser. The film, which also stars Mark Strong, Abbie Cornish and Jamie Bell, is produced by General Films and is due for release later in 2016. 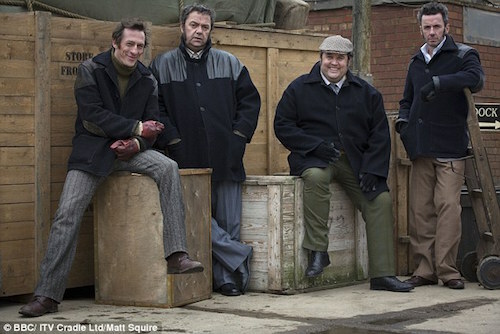 Martin played series regular Soapy in Danny Baker’s hit sitcom Cradle to Grave for BBC Two.